Anda Union brings a wide range of musical instruments and vocal styles together in a fusion that Genghis Khan himself would have been proud of. Anda Union's thoroughly addictive combination of Mongolian musical styles is a reflection of their roots. 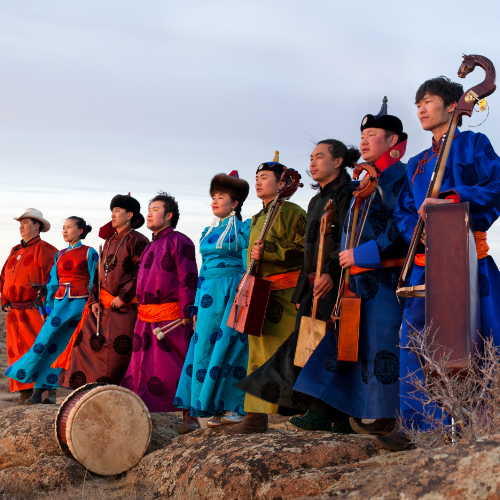 Hailing from differing ethnic nomadic cultures the nine strong band unite tribal and music traditions from all over Inner Mongolia. Anda Union brings a wide range of musical instruments and vocal styles together in a fusion that Genghis Khan himself would have been proud of. Keenly aware of the threat to the Grasslands and their age old Mongolian culture, Anda Union are driven by their fight for the survival of this endangered way of life, by keeping the essence of the music alive.